This Inner Chainring can only be used with Shimano FC-RS500 11pd Double Chainsets with a 52-36T or 46-36T set up. 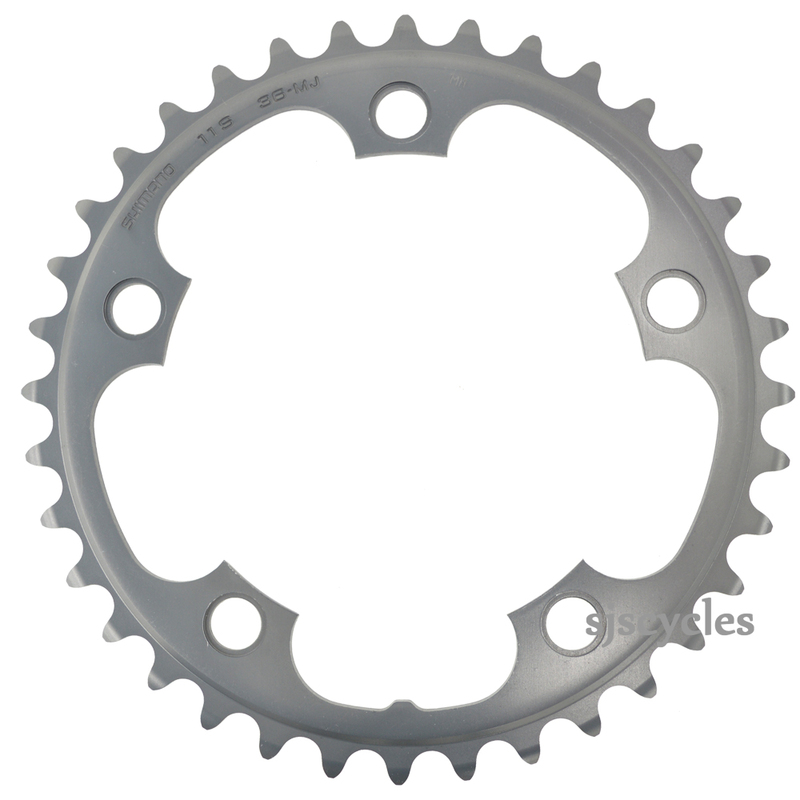 Could This Ring Be Used As The Inner Chainring On A 105 5700 Compact, To Replace The 34T? Thanks. Although you may have to adjust your front derailleur this chainring should fit fine to the inner position of your 105 5700 compact chainset. Will This Replace Shimano Sg F-36 From A 1993 Specialized Rockhopper Comp? This is an inner ring for a modern 11spd double chainring set up, the FC-M730 was a 7spd triple set up so this ring will not be suitable for your needs I'm afraid.